Your ability to use the Kubotan is only as effective as your kubotan training regime. The pocket stick is simple and extremely effective but it requires considerable training to build the right skills. In the simplest form you can strike with the kubotan or use it for fist loading to improve your punching power, but it offers much more than that. In this post we will be compiling a list of resource to aid you in your kubotan training without or without a partner. Let’s begin. When it comes to self defense preparation, it is important to have as realistic training as possible. Having that said the best training will be with a human partner to provide you with the most realistic training conditions. The live partner will be moving, reacting, he will vary his attacks and defenses allowing you to build up the required skills for the real game. In training with a live partner we can’t emphasis enough how important is the safety precautions for both of you. However, we know that a partner is not always available for such a realistic training. In such case the second best option will be our dear friend BOB (body oponent bag). BOB resembles the human body anatomy which will help in developing the accuracy against different striking targets. BOB will also enable you to practice your flows from one strike to another as quickly as possible. Also check our simple kubotan training at home plan. There are few manuals which are really good and effective. Some of them are already quite old like the official kubotan techniques manual. The most modern manual we have came across is Kubotan power by Sammy franco. It is probably most modern comprehensive manual on the subject. The book provides great information on Kubotans in general, how to buy and conceal your weapon. The book also provides good advice on practicing drills. The book also provides a variety of basic techniques. After all we think it’s good book to have for the self defense savvy but when it comes to learning techniques a DVD comes very handy. We think that DVDs comes second when it comes to learning techniques after instructor based classes. The main benefit of having a DVD is the ability to see and repeat any technique as much as needed with different speeds. They are also a great way to expand your knowledge and techniques about the subject. Mostly there is a companion DVD for every available manual, one is the official kubotan techniques DVD and others that we will talk about in other posts, but again in our estimation Kubotan Self Defense DVD for Sammy franco comes first. In this DVD, Sammy offers a no non-sense instructions, that we think it’s all that you need to start using this weapon for self defense immediately. There are tons of Kubotan training videos on youtube. Most of them are just for demonstration purposes and don’t offer a complete system or instructions as DVDs do. But there are still some videos that are worth watching as they offer very good basic instructions on different techniques. On this site we have been embedding many videos in most of our posts. We will also be compiling a complete play list in our media library. Here are some good ones, and as always keep training and STAY SAFE. Kubotan is a very simple tool and it’s use is almost natural to most of us. If you know how to punch and move your hands then you can use the kubotan. However, using the Kubotan is like every other skill it gets better with regular practice. Remember that in under pressure you will not have much time to think so everything need to come natural to you and here lies the importance of your Kubotan training. You need to remember that the kubotan is just a force equalizer and it works in certain fight ranges and like everything has its limitations. For that we highly recommend that you take a class or two with an instructor so you easily understand how the tool works and what to expect from it. Real life training develops your skills on distance and timings which are very important aspects in a fight. After you have had a couple of sessions with an instructor and got the fundamentals its time to nail them down into your muscle memory. Simply you need to practice and train the moves and strikes over and over until you can perform instinctively. Drawing your kubotan as fast as possible. This reqiures that you always carry your kubotan in the same pocket and that you rehearse and train your timing for drawing the kubotan with some sort of a trigger. You will also need to practice drawing it under different conditions like when you are sitting, lying on the ground or moving in different directions. 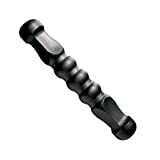 Secondly train your kubotan grips, use it in different grips and if possible in both hands. The third element is to kubotan strikes training, you need to practice different types of strikes usig different grips. It also helps if you practice those strikes on a solid surface so you get the feeling of your kubotan hitting something and how to keep it in your hand so yo don’t easily lose it in a fight. The Fourth element is to practice flows, learn to flow from one strike to another in a natural and logical manner. Every strike toward your oponent’s body will open some targets, learn to expect those and to flow. 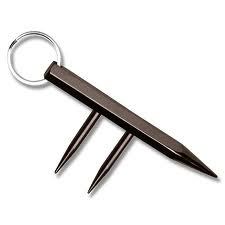 Lastly it would help immensely if you practice your kubotan strikes on a moving object like a small hanging bag or pad. Keep in mind that in a real fight your attacker will most likely be a quickly moving target . This kind of training will condition your responses and coordinate your body movements. I am sharing the video below as it provides a simple demonstration for different types of strikes that I expect you to practice at home. The instructor also explains how your body should be moving in order to deliver the strike with maximum force and impact. There are some other Kubotan training aspects, which I will touch upon in future posts, for now just train on using your kubotan. Check out more training requirements at our kubotan training resources post. Are you still thinking if the Kubotan is the right tool for self defense? Do you wonder what makes so many professionals recommend such a small pocket stick for self protection? Here are 7 reasons that makes the Kubotan the right and the best tool to carry around with you for the job. The kubotan is lightweight, easy to carry and conceal, they are are highly accessible, very durable. This makes it an ideal tool to bring anywhere without attracting much attention to it. 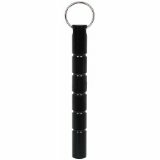 Kubotan is a keychain and that means you will never forget it home since you have your keys attached to it. What’s better for self defense than a tool which you know you can always rely on being in your pocket. In spite of its small size, the Kubotan provides the required degree of force between hand defense techniques and the use of deadly force. It can be a very effective weapon to use to bring down an attacker. The great thing about Kubotan techniques is that they can be adjusted to match the situation, from just strengthening your fist, applying pressure to sensitive parts of an attacker’s body and up to completely disabling strikes to sensitive areas in your attacker’s body in critical situations. Every strike with the Kubotan hits a target. When you strike with the Kubotan, the amount of pressure exerted is forced into a small, very precise surface area, thus increasing the damage dramatically. You simply can not miss using the kubotan, every body part is a good target. As you learn to flow with it, you can easily shower your attacker with a combination of painful strikes in a matter of seconds to encourage him to stop his attack. Kubotan is easy to learn and can be taken with you everywhere. We are all busy and we don’t need to spend hours learning complex motor skills of different martial arts. 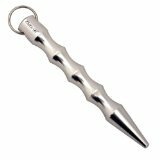 With a minimum of training, the Kubotan brings the possibility for any person to defend himself and equalize strength with a bigger attacker. The Kubotan is mostly legal around the globe to carry around. With it’s small size and solid material it can be carried around and used creatively for many daily life activities or survival situations. Lastly Kubotan is a very cheap tool, that doesn’t tear down and its fun to play with and practice. These were 7 reasons to make the Kubotan the best choice for normal people to learn quickly and smoothly. It can literally improve your chances of ending an attack as soon it starts without the least possible damage to you or your attacker. Kubotan is an effective tool, It’s simple to use, carry and easy to learn quickly. We highly recommend it for is how fast you can learn and master a variety of basic kubotan techniques. 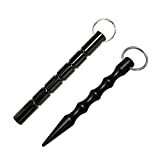 The use of the kubotan self defense keychain is only limited by your imagination, but generally the techniques fall down in one of the following major categories. Control and restrain techniques: Not every self defense situation requires force, in some cases all you need to do is to control your attacker and restrain his ability to attack you. Different joint locks and pain compliance techniques fall into this category. These types of techniques are the main use of the kubotan for the police enforcement personel and security gaurds to control different situations without causing injury to the other person. Striking techniques: This is the most famous and basic use of the kubotan keychain. The kubotan basicly acts as a force maximizer in striking techniques and for a skilled user who knows where and how to strike, it becomes a very effective tool to end an attack immediatly. You don’t necessarily need to strike with the kubabon, in its simplist form kubaton can just be used to greatly strengthen you punches (known as fist loading). There are multiple resources and ways a person can use to start learning basic and simple kubotan techniques for self defense. Some of these resources are listed in our kubotan training resources page. In this post we will focus on the most basic techniques that you need to start with. The kubotan techniques videos below shows some very basic striking and defense techniques that you can start practicing and using right away. Once you got the basic understanding keep drilling the following kubotan fighting techniques until you can do them instinctively. This is very essential in self defense situations. Fortunately once you grasp those basic techniques you will never be dependent on your kubotan being with you, any thing that has such shape can be applied in similar fashion. This youtube video illustrates the basic grip of the kubotan, the instructor also demonstrates different angles of attacks and pressure points you should target with the kubotan for maximum impact. The next video also the instructor explains the basic Kubotan strikes techniques and builds on them by introducing the concept of the checking hand and incorporating other body parts combatives, that you need to integrate in your traning protocol as well. The instructor shows also how to drill the basic kubotan strikes all by yourself and do your kubotan training at home on a simple door frame. It’s very important to practice these fundamnetals and to learn the natural flow from one strike to another against different targets and pressure points. Now, it’s you turn to practice some of the techniques illustrated in these videos until. 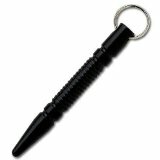 In our Resources page, you will also find a list of different kubotan techniques DVDs, manuals and videos that can aid your in learing to use the keychain for your self protection. The short answer is YES, Kubotan works very effectively for street self defense. Kubotan is being used frequently by a police officers as the basic non-lethal weapon taught enforcement academies and if such professionals use it for such critical situations that means that it works. Basic self-defense skills with a Kubotan can be taught in an hour or so. A full course can be completed in a day. But it requires some practice to develop the required the motor skills after taking the course. In law enforcement jobs, Kubotan is often used to get people out of close-quarters situations. They’re great for extracting people from vehicles or from doorways or other areas where they grab on to a fixed object and hold on to resist arrest. 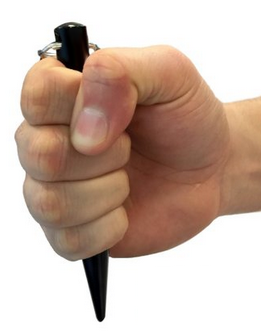 In grasping a fixed object like a steering wheel or a door frame, the subject exposes their wrist, which is the primary point of attack with the Kubotan in an arrest situation. In a crowded environment like a bar, a Kubotan was much more useful than a traditional impact weapon like a baton or an aerosol spray. The great thing about the Kubotan is that You can carry it just about everywhere, and they aren’t expensive. Most people don’t know how to use them, so if you lose control of the Kubotan, it’s not likely to be used against you the way a knife, gun, or pepper spray could. I think it’s an excellent choice as a personal defense weapon. It’s best to get some training from a qualified instructor. If you locate an instructor, ask some questions about where their training came from and what organizations support or endorse it. Get yourself a Kubotan if it is allowed in your city and carry it in your keychain, find a good instructor to give you the basics of how to use it and just practice that regularly, you never know when you might need to use it.